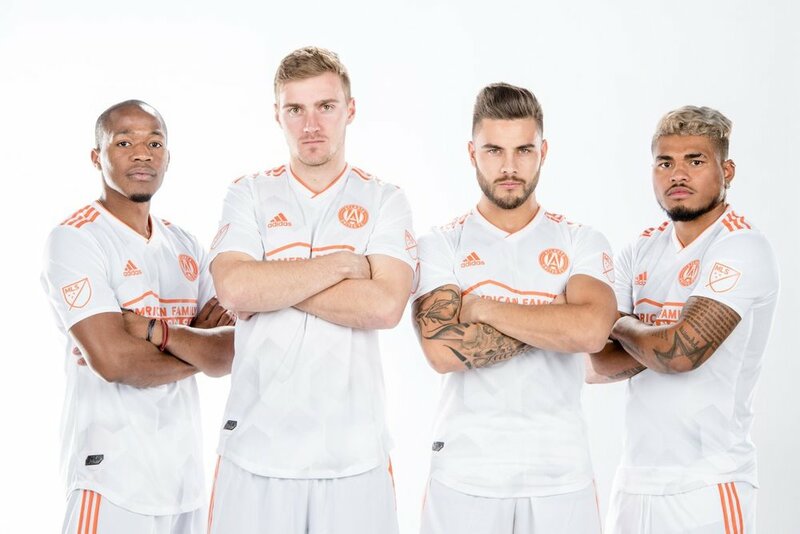 Atlanta has added an alternate kit to their uniform arsenal with the "King Peach" kits. The jersey is primarily white and features peach on the shoulder stripes, the crest and the sponsor logo. 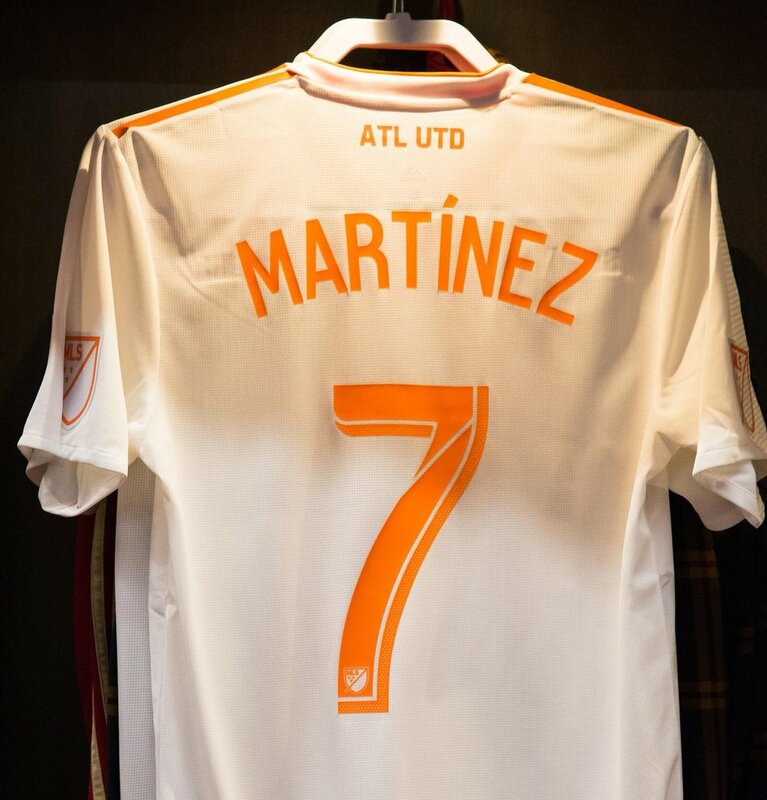 The background of the jersey features panel shapes similar to what can be seen on some soccer balls, as well as the roof of Mercedes-Benz Stadium.